Unfortunately, not everyone could fully enjoy this simple pleasure. Wheelchair users or those with difficulty walking have had to sit by and watch the rest of their family enjoying a day in the sun. But now it possible for everyone to spend a wonderful day at the beach. 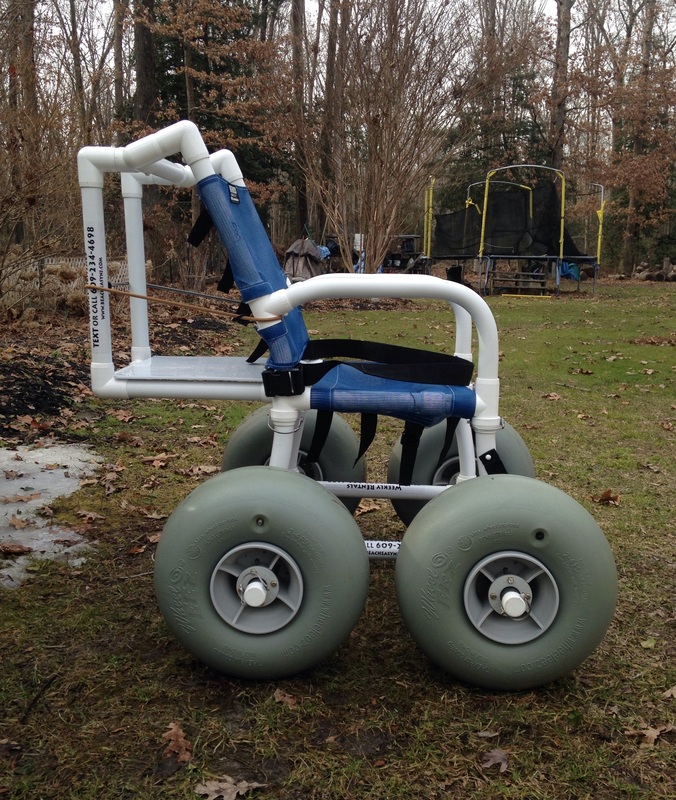 Wheeleez®, wheels that can traverse beach sand, back yards and rural terrain beach wheelchair has leveled the playing ground, making it possible for anyone to get out on the sand. PRICES START AT $120.00 CALL KIM TO ORDER 609-234-4698 Rent them to your guests or offer them as a courtesy, also great year round for personal use. Beach, trails, snow, etc. ALL RENTALS MUST BE THOUROUGHLY RINSED AND READY FOR PICKUP BY SATURDAY 10AM. CALL US AT 609-234-4698 OR EMAIL US AT KIM@BEACHEASYNJ.COM TO PLACE YOUR ORDER.